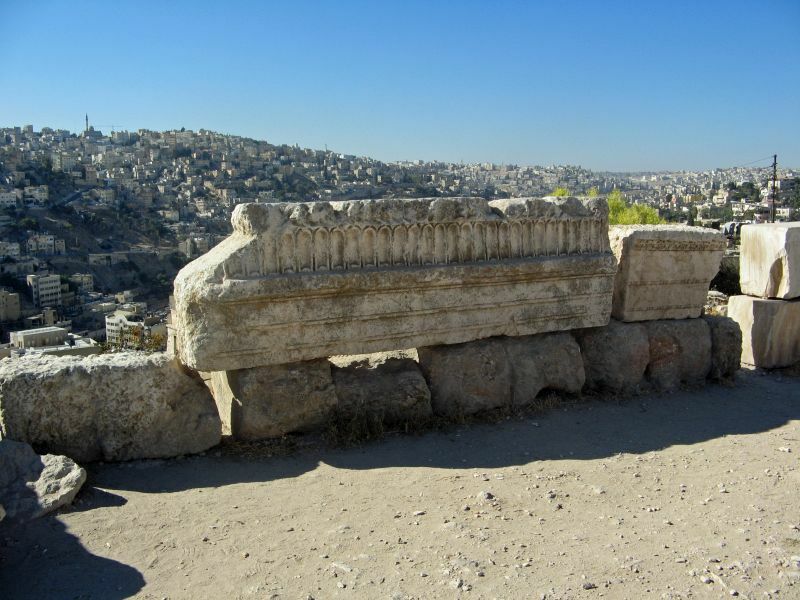 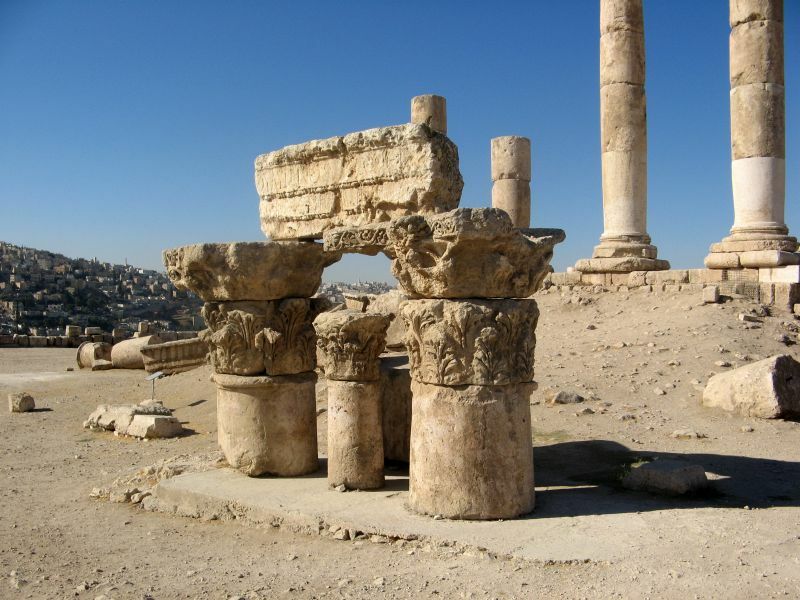 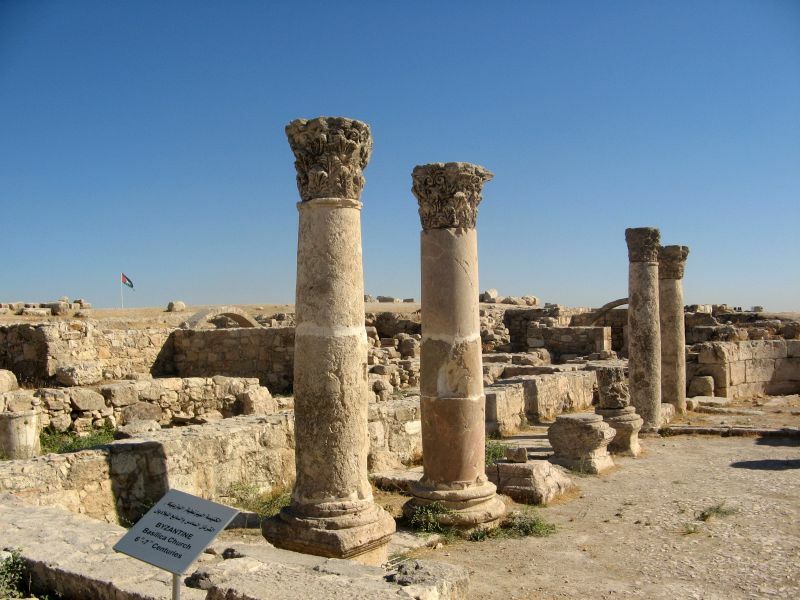 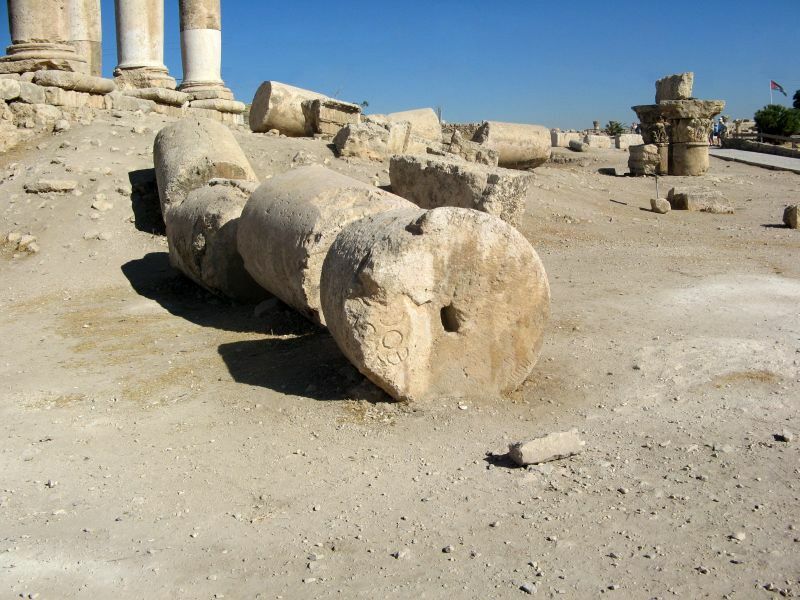 The Amman Citadel is a national historic site at the center of downtown Amman, Jordan. 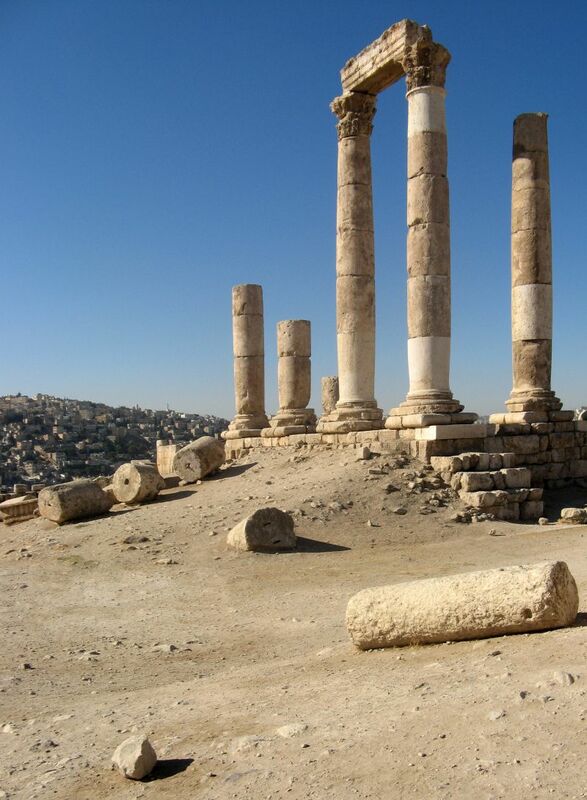 The L-shaped hill is one of the seven jabals that originally made up Amman. 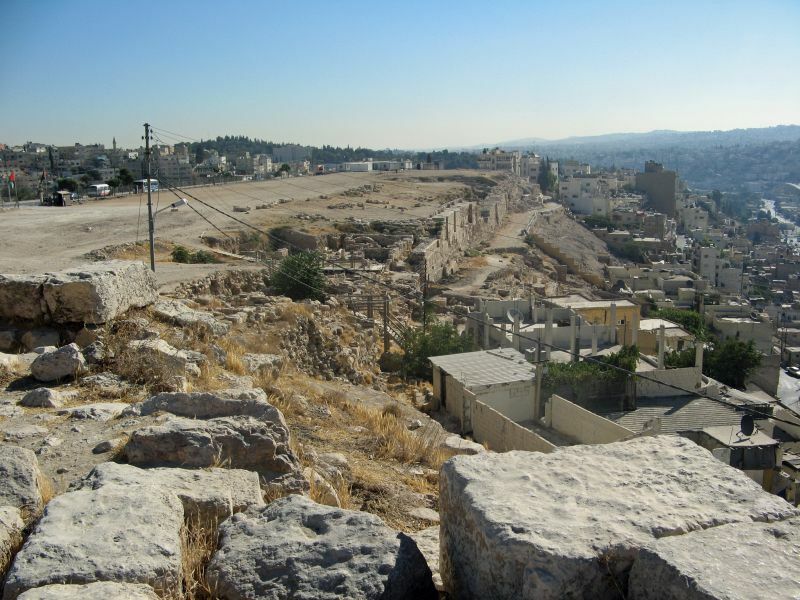 Evidence of occupation since the pottery Neolithic period has been found, making it among the world’s oldest continuously inhabited places. 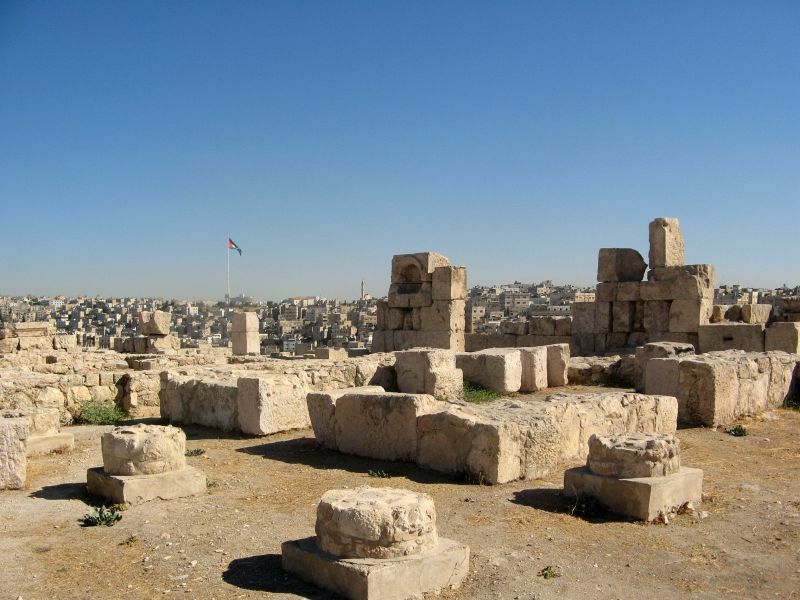 The Citadel is considered an important site because it has had a long history of occupation by many great civilizations. 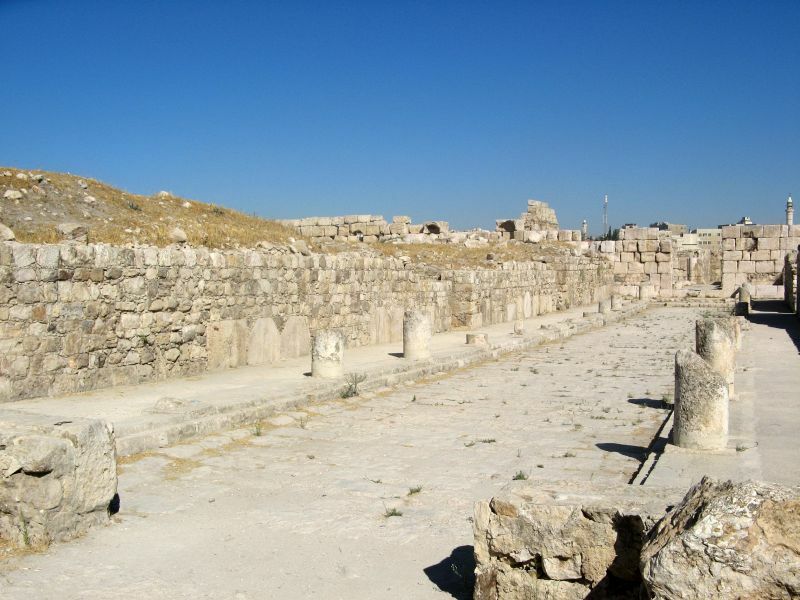 Most of the buildings still visible at the site are from the Roman, Byzantine, and Umayyad periods. 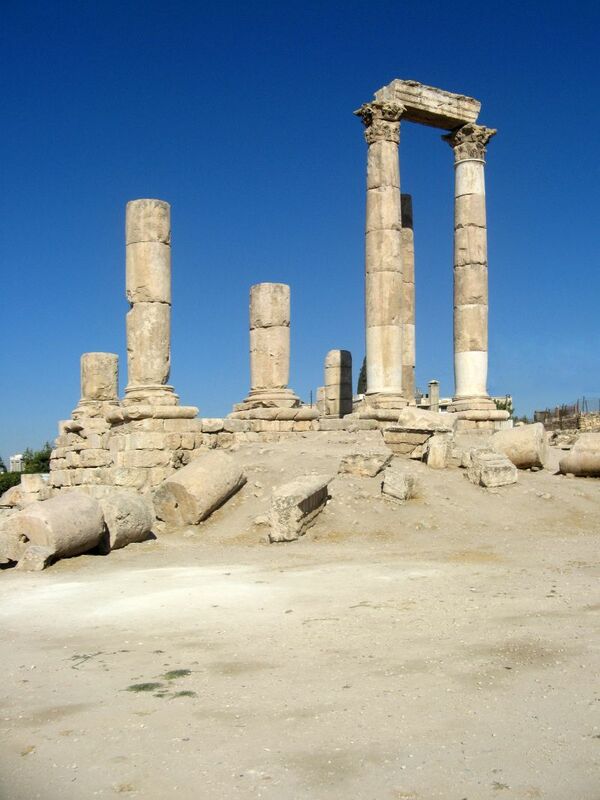 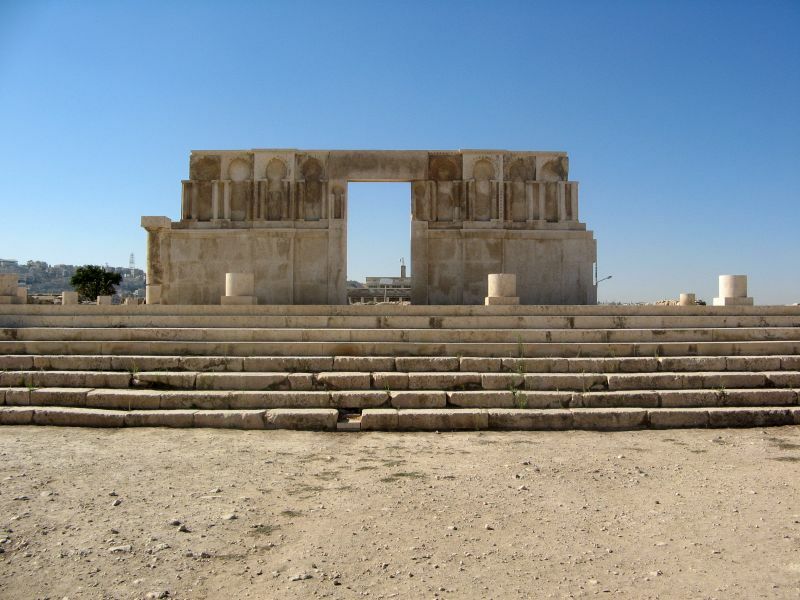 The major buildings at the site are the Temple of Hercules, a Byzantine church, and the Umayyad Palace. 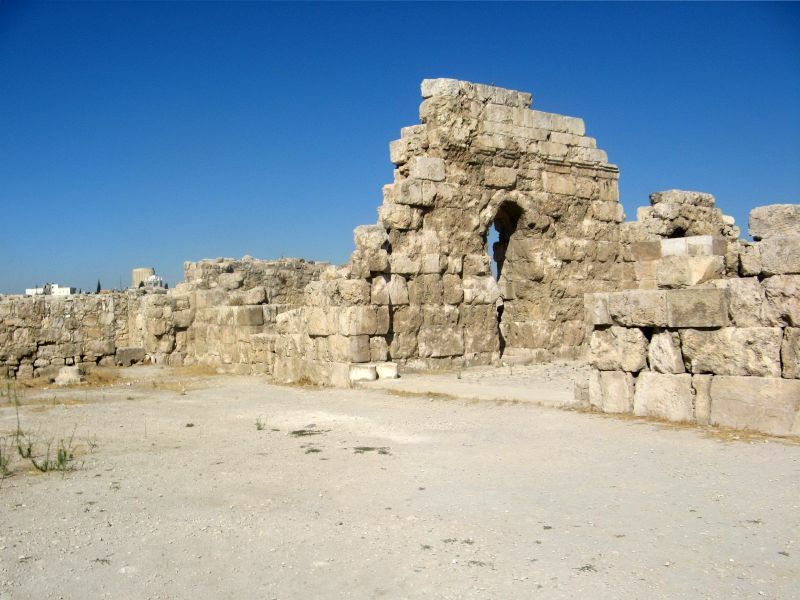 Though the fortification walls enclose the heart of the site, the ancient periods of occupation covered large areas. 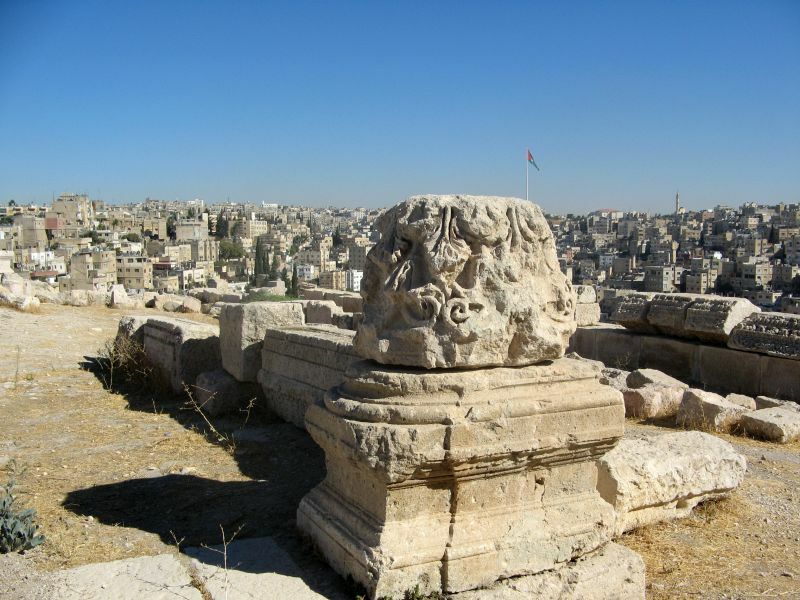 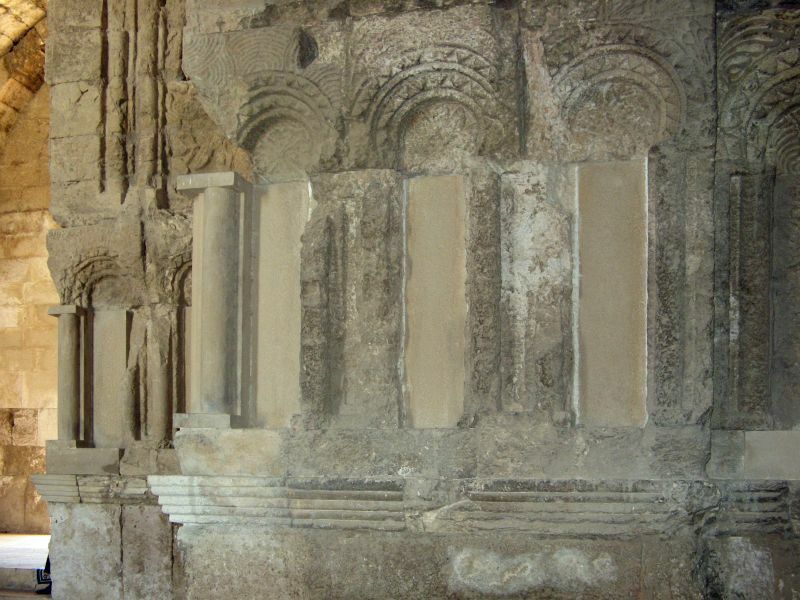 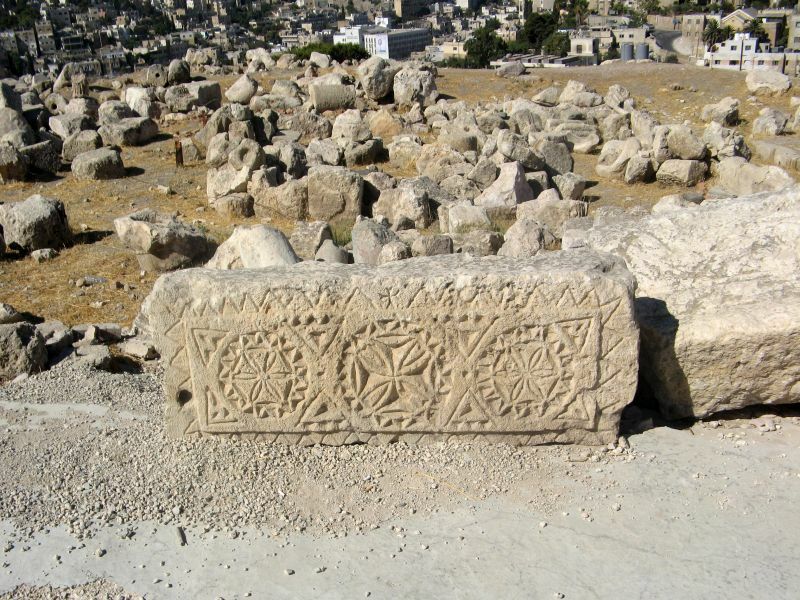 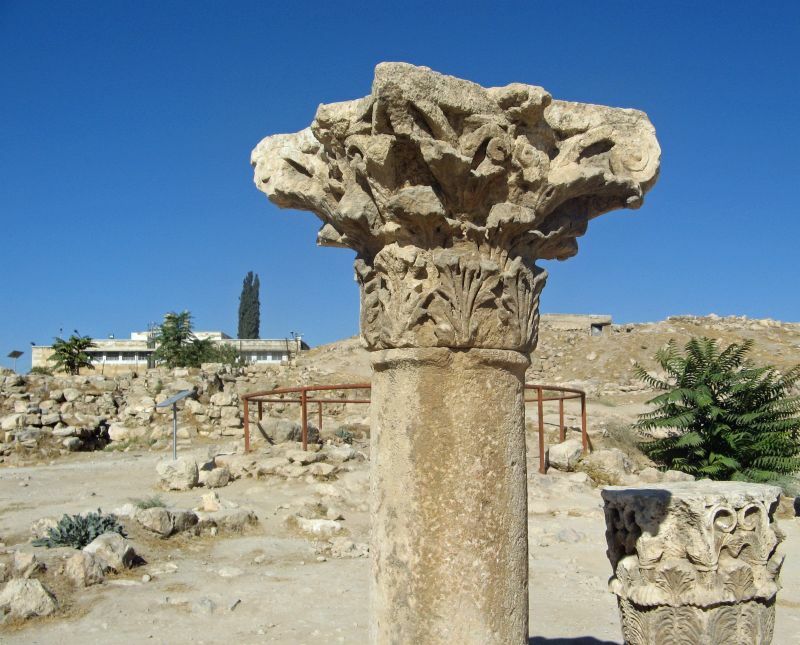 Historic structures, tombs, arches, walls and stairs have no modern borders, and therefore there is considerable archaeological potential at this site, as well as in surrounding lands, and throughout Amman.